The Webster University Library is conducting an online survey of all student, faculty, and staff at all domestic and international locations and in online programs. The survey takes approximately 10 minutes to complete. Students have the option to be entered into a raffle for Webster apparel or merchandise. Prize winners will be contacted after the survey has ended. The survey will remain open until Tuesday, April 30. Incompletes are tricky business. Webster has several resources available to help faculty determine when/if an Incomplete grade is appropriate. By more closely monitoring Incompletes and their resolutions and ensuring that all grades are posted in a timely manner, Webster can help keep students on track to meet their academic goals. Fall 2 is coming to an end and grades will be due soon. Inaccurately using Incomplete grades or leaving In Progress grades posted can harm a student’s academic progress, course sequencing, financial aid, persistence, and graduation. Do not submit an Incomplete as a student’s grade or leave a student’s grade as In Progress if the student has not attended class for several weeks and/or is missing most of the required work. All graduate and undergraduate Fall 2, 2018, course grades are due by Monday, Dec. 31. 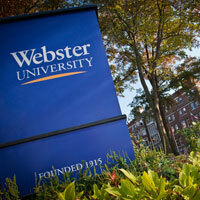 Webster University was named a “School of Distinction” by Bestcolleges.com for its online learning and degree programs, it was announced last week. The “School of Distinction” title is awarded to colleges with online programs that are consistently ranked among the best in the country. The submission period is winding down for Webster’s Fall 2018 Research Across Disciplines (RAD) conference. This conference is open to all levels, disciplines, and campuses. RAD is open to both undergraduate and graduate students from any discipline, studying anywhere in Webster’s network (including global and online). The deadline for submissions is Nov. 2. 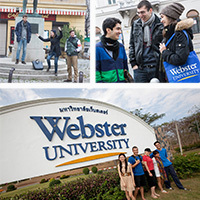 Webster is offering 6 fantastic programs in various locations from Vienna, to Thailand, to Ecuador for students this Spring Break. 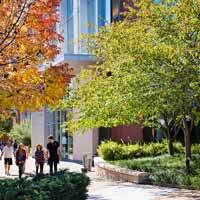 Options for both undergraduates and graduate students are available in a variety of academic disciplines. These courses are taught during the Spring Semester with the study abroad component taking place over Spring Break. Fall 1 is coming to an end and grades will be due soon. Inaccurately using Incomplete grades or leaving In Progress grades posted can harm a student’s academic progress, course sequencing, financial aid, persistence, and graduation. Do not submit an Incomplete as a student’s grade or leave a student’s grade as In Progress if the student has not attended class for several weeks and/or is missing most of the required work. All graduate and undergraduate Fall 1, 2018, course grades are due by Friday, Oct. 26. Starting Oct. 11, Canvas users will be able to access and use Office 365 applications from directly within their Canvas courses. To learn more about using OneDrive, Powerpoint, Word, Excel, and other tools with Canvas, join an upcoming webinar offered at a variety of times to suit your schedule. 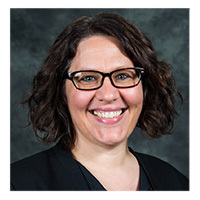 Effective Wednesday, Oct. 3, Kristin Cobos will move into the full-time position of Writing Center and Online Writing Center Coordinator in the Academic Resource Center (ARC). Cobos will be meeting with many departments and individuals as part of her on-boarding and training process. Carolyn I. Brown, who previously filled the role, is now the Assistant Director of the ARC. As the semester is well underway, students may be presenting a need for additional subject-matter assistance. 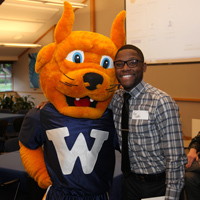 The Webster University Tutoring Program at the Academic Resource Center (ARC) provides a pool of capable tutors who can work one-on-one with students to help them achieve greater confidence, independence, and success as learners. This program is free of charge and serves all students who are currently enrolled in courses at Webster University. Individual peer tutoring is available by appointment for both short-term "catch-up" assistance and ongoing support. This Fall 2018, Global Program Development and the Faculty Development Center will host opportunities for faculty to attend webinars presented on topics of Global Learning. The sessions will be streamed live in the Faculty Development Center, Emerson Library suite 420. The Online Learning Center will host the annual reception for graduates who completed their studies online or at Webster’s metro or military campuses and are coming to St. Louis for the 99th Commencement. 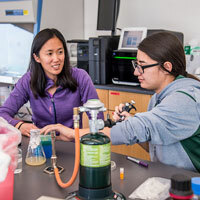 Held Friday, May 11, 4-6 p.m. in Sunnen Lounge, the event provides an opportunity for these graduates to visit the main campus and meet faculty and staff in person. 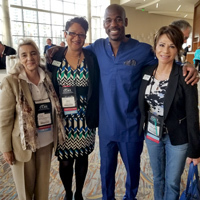 Four Webster military and online education leaders represented Webster University at the 2018 Council of College and Military Educators (CCME) in San Diego, with Western regional director Janice Neal being elected president of the body. CCME facilitates military educators and civilian educators programs and services within the Department of Defense educational support network. Fort Bliss director Beth Vivaldi and Elizabeth Fiock of the Online Learning Center presented and demonstrated Webster's WebNet+ at the conference. 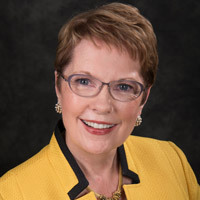 The CIC released a report quoting President Beth Stroble and lauding Webster for its innovations in online learning across campuses and evolving multimedia programs. ... ACE quoted Stroble in an article about students' views of free speech. ... Vienna's Franco Algieri was interviewed on Austrian radio about French president Emmanuel Macron. ... Leiden's Daria Tuminas was profiled in IamExPat to discuss Webster media communications programs. The latest phase of Webster University's partnership with Adobe grants access to Adobe Creative Cloud and 20GB of cloud storage for every student, faculty member and employee across all of Webster’s U.S. and international campuses as well as its online platforms. 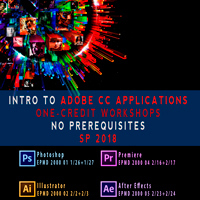 Students will be able to use Adobe CC to create persuasive and compelling digital content, develop new critical thinking skills and share work with fellow students through these cutting-edge educational tools.